© 2019 Center for Taiji & Qigong Studies: all rights reserved. Is your practice focused on health, or martial art? This is both a common and a legitimate question. Henan Province in China, where I grew up, is one of the cradles of Chinese philosophy, healing and martial arts. Shaolin Gongfu (Kung Fu) and Chen Style Taiji (Tai Chi) were developed there. Based on my "home town" experiences, I would like to provide my perspective on the health vs. martial art question. From my vantage point, there are two paths to martial practice. One is the intensely hard, single-minded physical or external approach. In a relatively short time this training can produce impressive results. The appeal of the fast track is obvious. Though the fast track external approach can produce impressive feats of speed, strength and agility, in the long run it can be costly, resulting eventually in physical breakdown. With advancing age such artists often give up or severely limit their practice or they experience shorter, less healthy lifespans. This is not hard to see in China. Like overtraining in any area of physical performance, short-term gains can be replaced by long-term losses. Sometimes it is too late before people realize the cost of this approach. The second approach is a long-term, all-embracing mental, physical and spiritual path represented by taiji and other internal arts. 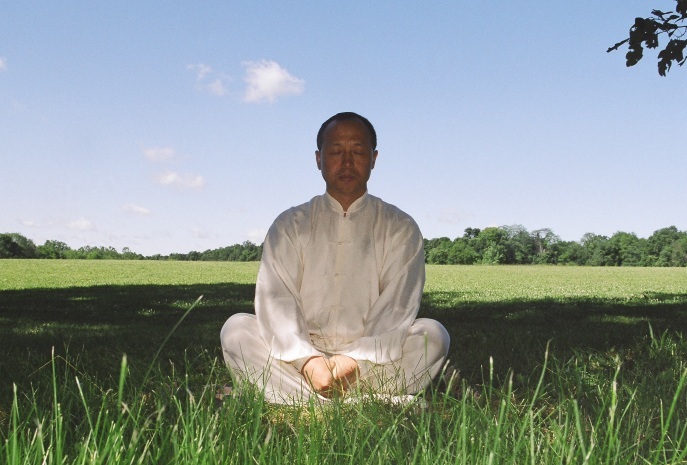 Like the external approach, the taiji/qigong method was also developed as a powerful martial art, but one designed simultaneously to build health, strength, speed and calm mastery. That is, it emphasizes nurturing the body, elevating the mind and spirit and attaining martial virtue. By martial virtue (武德，wǔ dé), I mean cultivating a kind, compassionate and giving spirit. In this way, the practice of fighting arts is transformed into a mental, physical and spiritual path to and for peace within and without. In other words, trained correctly, taiji leads toward wisdom, lasting happiness, and enriched longevity. Taiji is not a fast track to martial mastery. It is slow, careful and holistic. However the health benefits—such as reduced pain, improved balance, sleep and immune function, and decreased stress and anxiety, can be experienced quickly. Nevertheless, from the point of view of physical strength and speed, internal stylists catch up and go ahead. After a year a hypothetical external stylist might outperform his internal practicing peer. Three years later they might be even. But at the end of five years the internal practitioner would clearly outperform the external in speed and power—and there would be important health gains. Twenty years later there would be no comparison. At that point the external practitioner might be quite compromised as an athlete due to the excessively physical, non-nurturing way of practice. That has been my observation and experience. One central theme in Chinese philosophy—one that also guides Chinese martial arts and taiji training—is that to attain something you begin with its opposite. Relating to the subject of this article, if you want power and speed, you need to practice softness (though not limpness), slowness and stillness. Over time the result is more power and faster speed. This is counterintuitive, but it works. At the same time, practicing stillness (standing, sitting and lying down meditation) while nurturing the body, mind and spirit creates vibrant health and tranquility. The wisdom lies in the balance: mental, physical, and spiritual/still, slow, fast, agile and cognitive. In other words, the health and martial dimensions of taiji are mutually supportive and, if practiced correctly, inseparable. Synchronizing these various elements produces powerful results. Practice correctly and there are substantial gains in both health and in martial power. There is an old saying that captures the taiji trajectory: The older, the stronger, the wiser, the happier. The practice and the development never end, and the result is an incredible physical capacity that is the manifestation of enhanced dimensions of health: strength, balance, improved sleep quality and immune function, agility, tranquility and happiness—and a deepened disposition toward kindness and care. This balanced training method—combining slow, moderate and quick speeds with stillness practice (standing, sitting, and lying down body positions)—is crucial in preventing injuries. The wisdom of this training method has tremendous potential for helping professional athletes stay healthy and extend their careers. One can also see its potential for rehabilitation work, especially in relieving pain, improving balance, and speeding recovery following cancer treatment. Of course, overeager searchers for martial power in taiji can veer off of this path, turning the internal art into an "external taiji" practice, thereby losing the benefits of a balanced, holistic curriculum. In my experience there are two types of taiji practitioners: martial artists and what might be called "martialists" (武术匠人, wǔ shù jiàng rén). Martial artists follow the nurturing holistic approach while martialists follow a competitive, ego-driven path. Consequently--and despite training in taiji basics--martialists often incur significant injuries or other health problems through a sustained focus on attaining and expressing martial power. And they may also miss the wisdom, happiness and generous spirit that is an outgrowth of proper training. We wish to be the martial artists, becoming ever older, stronger, wiser and happier, while making gains both in health and martial art.